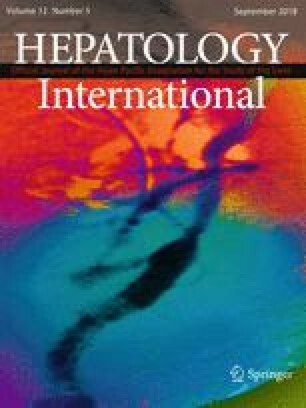 The relationship between chronic hepatitis B virus (HBV) infection and fatty liver in patients remains unclear. Although high-fat diets-induced hepatic steatosis was proved to reduce HBV replication in transgenic mice, the interplay between HBV and fatty liver in immunocompetent mouse model is yet to be elucidated. Here, we aimed to develop an effective animal model for intracellular HBV persistence combined with hepatic steatosis and to explore their interactions. FVB/N mice with HBV genotype B replicon DNA were established by hydrodynamic injection. Mice injected with HBV or control plasmid vectors were then randomized into NAFLD + HBV, HBV, NAFLD, and control groups and treated with a high-fat or standard diet for up to 14 weeks. The characteristics of NAFLD were evaluated by physical indices, liver function tests, glycolipid metabolism, and liver histopathological changes. Viral dynamics were also analyzed by HBV DNA and HBV-related antigens. HBV clone persistently replicated in the livers of FVB/N mice, and hepatic steatosis was induced by a high-fat diet. The NAFLD and NAFLD + HBV groups shared similar physical features, glycolipid metabolism, liver function, and hepatic steatosis. Serum hepatitis B e antigen (HBeAg), hepatic hepatitis B s antigen (HBsAg),hepatitis B c antigen (HBcAg), and HBV DNA were decreased in the NAFLD + HBV group compared with those in the HBV group at the end of 14 weeks. In an HBV-immunocompetent mouse model, non-alcoholic hepatic steatosis inhibited HBV replication, as indicated by the reduction of HBV DNA and HBV-related antigens. HBV replication did not alter lipid metabolism in mice. The authors express their gratitude to Prof. Chen PJ (Department of Internal Medicine, National Taiwan University Hospital) for the kind gift of the HBV1.3-B6 plasmid. This study was supported by the National Natural Science Foundation of China NSFC Grants (81571989, 81100282, 81500452), Program for Innovative Research Team of Chinese Ministry of Education (IRT-14R20) and National Science and Technology Major Project (2017ZX10202201). Danqing Hu, Hongwu Wang, Hai Wang, Yaqi Wang, Xiaoyang Wan, Weiming Yan, Xiaoping Luo, and Qin Ning declare that they have no competing interests. All experiments were performed using procedures approved by the Huazhong University Institutional Animal Care and Use Committee.